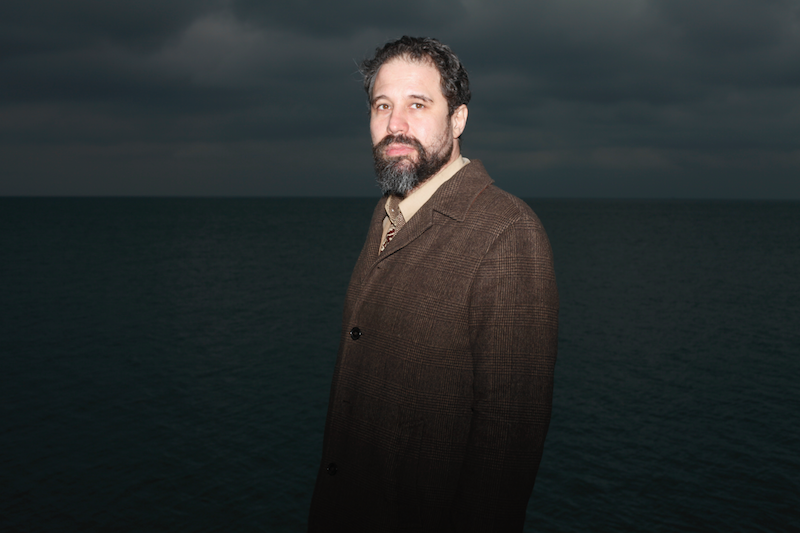 Throughout his impressive career as a composer and multi-instrumentalist, Joshua Abrams has recorded eight albums, collaborated on over a hundred recordings and composed the scores for such acclaimed documentaries as Steve James' "The Interrupters," Bill Siegel's "The Trials of Muhammed Ali" and Dan Rybicky & Aaron Wickenden's "Almost There." His score for James's last film, "Life Itself," based on my husband's acclaimed 2011 memoir, was nominated for Best Original Score by Cinema Eye Honors, and was praised by Matt Patches of Hitfix in his list ranking the Top 15 Best Film Scores of 2014. On October 16th, Abrams's scores for "Life Itself" and "The Interrupters" will be released on an album available via iTunes. 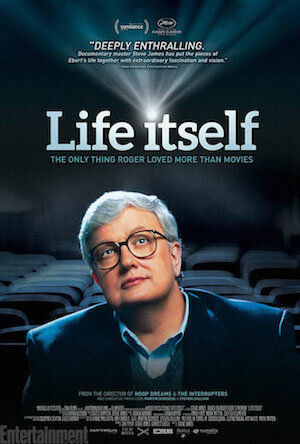 Steve James wrote the liner notes for the album, and singled out a particular piece written by Abrams for "Life Itself." "What he's managed to do with this film is make music that captures the essence of who film critic Roger Ebert was: a man of great confidence, humor, and sensitivity," wrote James. "The signature piece for the film, 'Roger's Theme,' is big and bold, yet underneath Arie Brown's amazing sax riffs is the music of a wake, an eulogy, to a man who has embraced the end of his life which he knows is near. 'Roger's Theme' is the whole movie in one cue." Did you look at any particular pictures of Roger as inspiration? Usually the stills and footage that surrounded a given scene helped inform that particular moment in the score. I took inspiration from Roger's skill as a writer and his humanist orientation. I appreciate his clarity and ability to articulate the nuances of what made a film exquisite, delightful or awful. He once wrote, “They say we only use a small percentage of our human minds. I believe music has its best existence in those parts we do not otherwise employ,” which is a beautiful sentiment. His courage in the face of his illness was a great inspiration as well. What was your impression of Roger before you took on this project? My first impressions of Roger are from of watching "Sneak Previews" as a kid. Working on "The Interrupters," it was a thrill when Roger wrote favorably about the film. When Steve approached me about the project I read Roger's memoir and that began to fill in my image of his life and who he was as a person. Did working on the score change you in any way? Each film I work on shows me more about how music can work together with images to help tell the parts of the story that fall between the cracks of language. Each process changes my perspective though often in ways that are difficult to articulate. In "Life Itself" there are a broad spectrum of feelings that have to be encompassed by the music without making the viewer feel emotionally seasick. Roger's conception of the movies as "a machine for empathy" was both inspiring and useful for this process. It is a vision that makes sense to me in my role as a composer. It articulates the goal as creating an emotional understanding with the audience rather than trying to dictate how or what they should feel. This in turn made the emotional gulf less wide to traverse. What is your take on the whole project (score and movie)? "Life Itself" is a celebration of a remarkable life, but it is also a film that pulls back the curtains on dying, a subject that our society would often prefer to ignore. I am still struck by both Roger and your courage and generosity in sharing those moments with the film and for being so open. It is as if he wanted those moments witnessed to help demystify some of the inevitable process that we all go through. I feel honored to have had the chance to compose the music for the film. Did you learn any life lessons from Roger? His view of the movies as a means towards empathy, his courage in speaking his beliefs and his commitment to lucidity are all inspiring. His perseverance throughout his illness and his acceptance of death as part of living also made a strong impression on me. Why did you choose the music you chose for the score? That process was very collaborative, working extensively with Steve James as well as Zak Piper and David Simpson. From the outset Steve was keen for Roger's Theme to be written for a brass band. 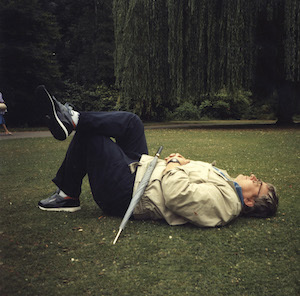 We spoke of wanting to catch Roger's love of living and irreverence for the social norm. We wanted a musical forum that could catch the feelings of sadness and loss and still understand death as a celebration of life. Steve wanted a score that reflected a timeless feeling rather than trying to create the sound of a particular era. I also listened through many songs that Roger mentioned in the book as well as songs that you had mentioned to Zak. Ultimately more than any particular song, it was Roger's personality and spirit as captured by the film that helped dictate the music. "Music for Life Itself & The Interrupters" will be available on iTunes on October 16th. To view the full content of the album, click here.